Big A, little a, what begins with a? Aunt Annie's alligator, a, a, a. While they're not located in Washington wine epicenters like Walla Walla, Woodinville or Red Mountain, Alexandria Nicole has worked hard to establish themselves, the town of Prosser and the Horse Heaven Hills AVA as a central part of the Washington wine conversation. Firmly anchored in Prosser, Alexandria Nicole was among the first "east siders" to open a tasting room in Woodiniville. 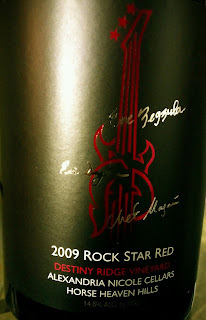 Their emphasis though is on showcasing and showing off Eastern Washington wine country, and their Destiny Ridge location. 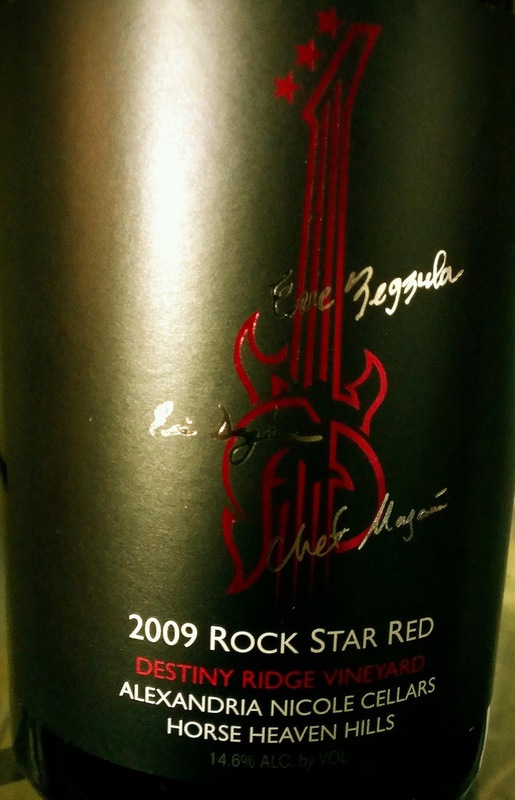 Whether it's through estate designated wines or the myriad of events that aim to bring fans and club members to the Prosser or Paterson area. Jarrod is a Prosser native and you get a real sense that Alexandria Nicole believes in the potential of the tiny Benton County seat of nearly 6,000. They've taken on wine country chef Frank Magana, formerly of Prosser's Picazo 717 and in so doing quickly cut to the front of the line in terms of culinary talent and quality for their catering and winemaker dinner operations. Taking what can easily be an after thought to the next level through Frank's creativity and talent. 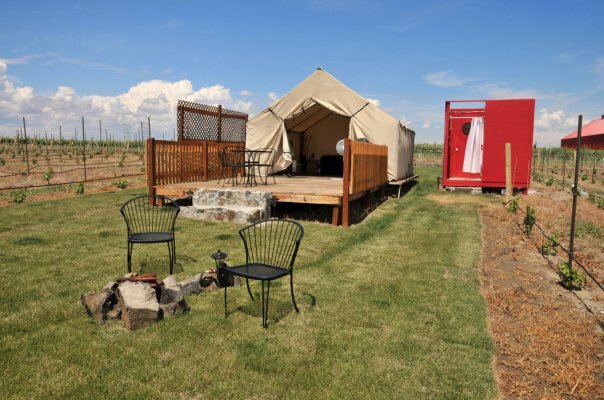 Additionally, the Destiny Ridge vineyard's "glamping" which is shorthand for glamorous camping has landed Alexandria Nicole on a variety of shortlists for Northwest wine tourism "must-dos." 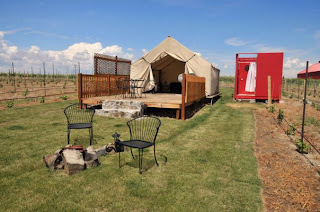 Three "tent" sites dot the Destiny Ridge vineyard, and the term tent here is a bit of a stretch that includes a queen size bed. Guests are treated to an unparalleled opulent approach to tent camping complete with air conditioning and private bath all outside among the vineyard rows. It sells out quickly and can be an elusive opportunity to experience the scenic beauty that is Washington wine country. Travel the Northwest's various wine producing regions and you'll hear winemakers or winery owners bemoan the lack of support from local government or winery associations in helping fashion their region into a destination. You'll hear no "what ifs" from Alexandria Nicole, they're working to make it happen on their own terms. The Washington wine industry has seen a lot of change over the last few years, wineries have come and gone and an emphasis on Walla Walla, Woodinville and Red Mountain has continued. There is little doubt though that the Yakima Valley does not begin and end on Red Mountain with some of the state's great fruit coming out of Red Willow, Boushey and Upland vineyards. Alexandria Nicole remains a steadfast in their support for Prosser, but they're not standing pat. Pushing collaboration and an outside the box approach like creating the world's first wine/beer hybrid the Noble Rot with big names like Dogfish Head Brewing, the Rockstar Red collaboration between Anthony's Restaurant sommelier Eric Zegula, chef Frank Magana and Eric Degerman of Great Northwest Wine or the collaborative approach to the Jet Black Syrah with film star Jet Li. Okay I made that last one up. 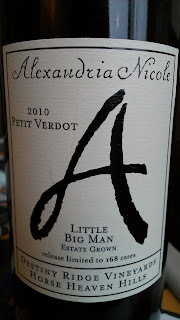 But for Alexandria Nicole fans, or those not yet familiar with the wines you can plan to expect the unexpected.